St. Landry Parish Sheriff Bobby Guidroz said that a student’s mother complained that Shelvin bullied her 11-year-old child, told the student to “go kill yourself” and promised to fail other students if they didn’t fight the unnamed 11-year-old, according to The Advertiser. After Shelvin was removed, Gallow, a substitute, retaliated against the student for tattling on Shelvin. Gallow was caught on camera pushing the 11-year-old on two separate occasions, authorities said. 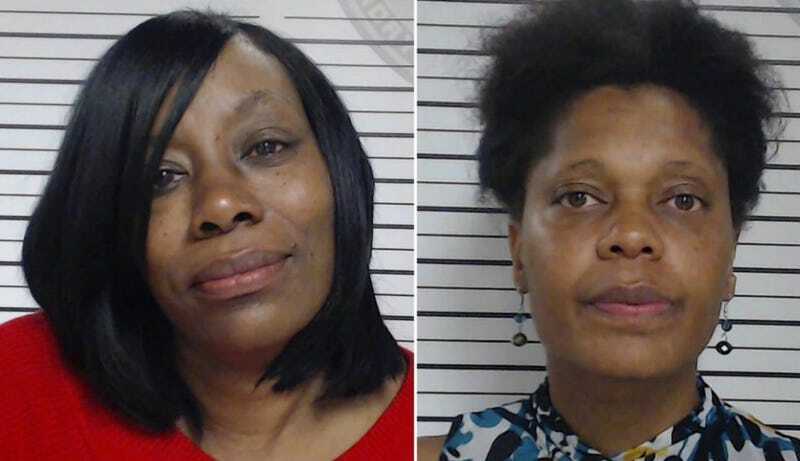 “Gallow then started pulling, pushing and yelling at her daughter because she reported to the principal that her teacher Ann Shelvin was making her and two of her other friends fight the 11-year-old because Shelvin did not like her or her mother,” Guidroz’s statement continued. Gallow was charged with malfeasance in office, simple battery and intimidation and interference in school operation and was jailed on a $1,500 bond. Shelvin was charged with encouraging or contributing to child delinquency, malfeasance in office, and intimidation and interference in the operation of schools, with her bond set at $2,000. Read more at The Advertiser.